I’ve tried out multiple products, but none has been the “perfect” one yet. 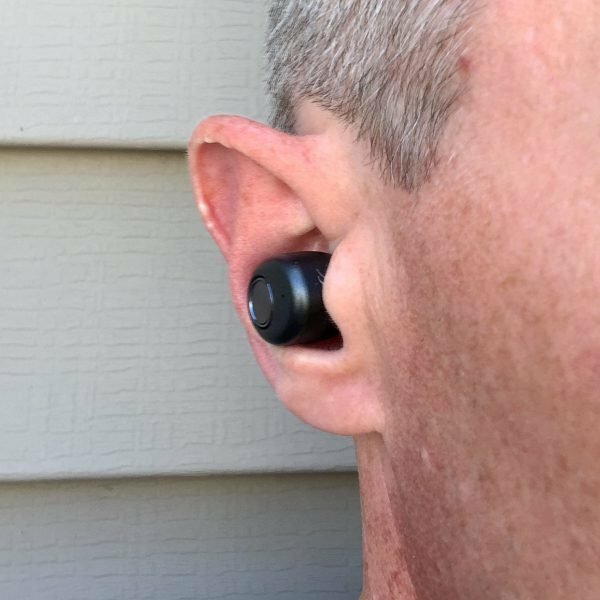 Would the Smartomi ACE Bluetooth Wireless Earbuds be “the” ones? With their small size and charging storage case, they looked sleek and all, but would they survive the rigors of my workouts and work out for everyday use? Something told me that the answer might be a yes. Let’s see how they did. Gadget on! 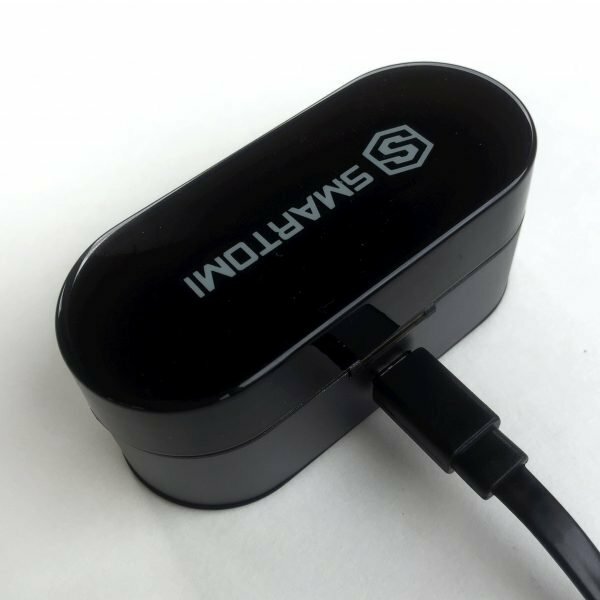 The Smartomi ACE earbuds arrived in some quite nice packaging, a simple black box with the Smartomi logo on top and some minimal info on the bottom. Above are the Smartomi ACE earbuds, along with the three pairs of included eartips in sizes large, medium and small. Since I have cavernous ear canals, I went straight for the size large. They were easy to install, just push them onto earbud’s posts with a bit of a twist. Above is the Smartomi ACE’s battery case. 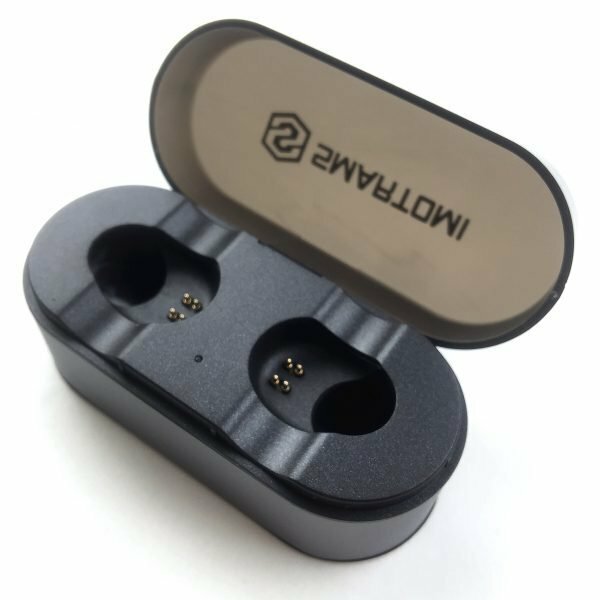 It has a hinged, transparent plastic lid that allows the user to see inside, which is useful because the earbuds light up to indicate charging (more on this below). 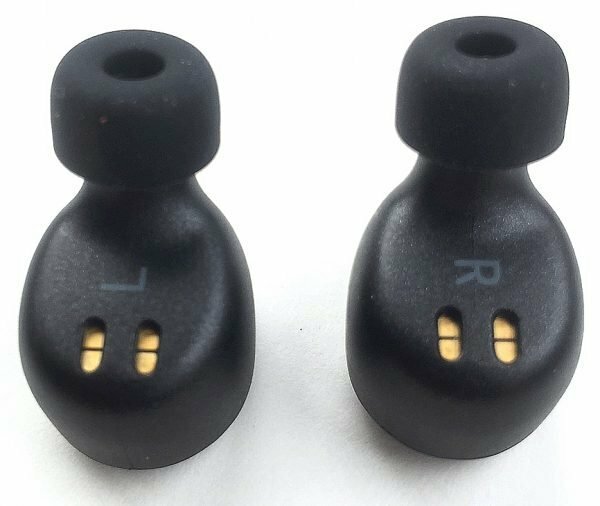 There are also two “pockets,” one for each of the earbuds, and each pocket has four tiny brass terminals that charge the earbuds. Either side of the pockets have a groove that makes it a bit easier to grab the earbuds and pull them out. A tiny blue LED between the earbud pockets indicates charging. Additionally, the case has a very Apple-esque design, with a matte aluminum around the bottom half that looks quite a bit like the iPhone’s finish. 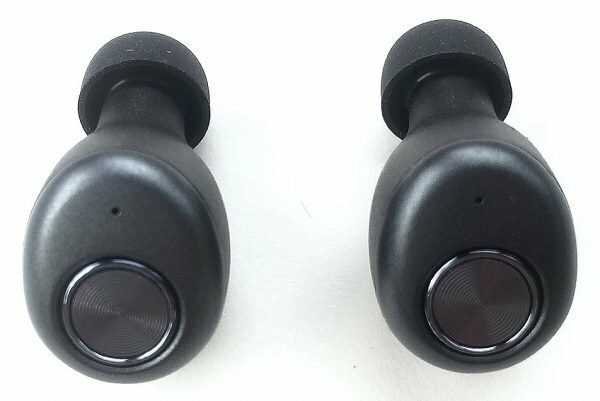 One surprisingly cool and useful feature of this case is a set of hidden magnets that interact with magnets in the earbuds themselves. When the earbuds are placed near the charging “pockets,” the magnets attract together and SNAP! the earbuds lock right into position on the charging terminals, perfectly, every time. The case holds the earbuds so securely that you can actually turn the case upside down and the earbuds stay put. I really like this feature. I didn’t have to eyeball and manually position the earbuds into their charging pockets as I did with previous earbud charging cases, which sometimes meant that they were not perfectly seated on the charging terminals, thus preventing them from charging. No bueno. This case eliminates that. Also, the earbuds seldom need to be manually powered off. When you are finished with them, just place them in the case and they power off automatically. When you remove them from the case to use them, they power back on and re-pair automatically. Very cool. Above, I have the included mini-USB plugged into the rear of the case. This setup charges both the battery in the case as well as the earbuds themselves simultaneously. The case gives the earbuds a significantly longer usage time. I was able to easily use the earbuds for well past a full week of 6 or 7 workouts lasting 1-1.5 hours due to the additional boost provided by the battery in the charging case. Above, the tiny blue LED glows while the case is in charging mode. Above, a closeup of the inside of the earbuds in which you can see the four charging contact points on each earbud. 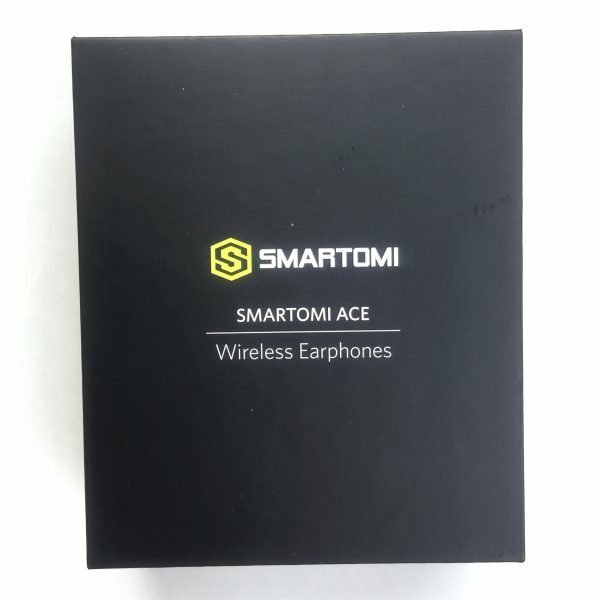 This is probably a good point to mention that pairing the Smartomi ACE with my iPhone was simple the first time and they remained paired every time I used them, which was not the case with other wireless earbuds I’ve tried. Pleasant-sounding voice prompts are used to indicate various functions, such as when the earbuds are powered on, when they are paired and so forth. Above, a closeup of the earbuds from the outside. Each earbud has a tiny microphone hole that can be used to make phone calls. A single push button on each earbud that controls various functions, like music pause and phone call answer. In addition, the chrome-colored rings that encircle these buttons are actually LEDs that glow during charging. 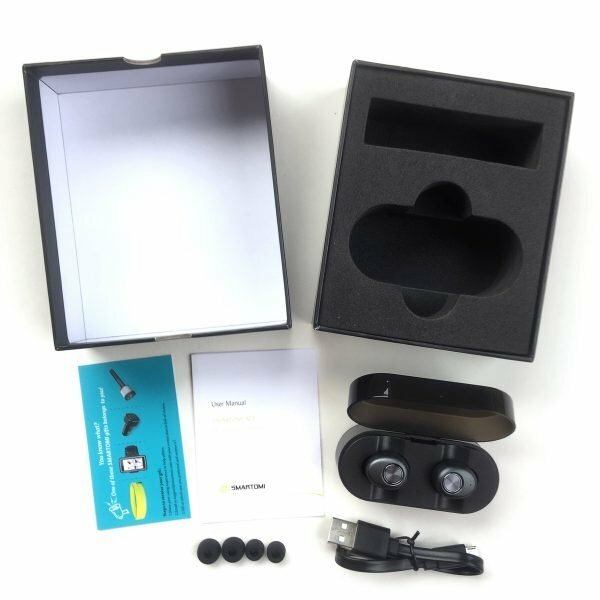 The Smartomi ACE earbuds are quite small, but more than that, they have an ergonomic, smooth shape, which I think helps them fit a bit better in my ears, and remain comfortable for a long time. How do they sounds? Excellent. As long as you have the proper size of silicone ear tips for your ear and you have them securely seated in your ear canal, they produce some sharp highs and solid base. For listening to podcasts, they were good, but listening to music or movies was where they really shined. As seen in the image above, these earbuds barely stick out of my ears at all—they really fit right down in my outer ear. I like that, because it means that they are much less likely to get caught on something and get knocked out, or get jostled out while you are working out. The above view shows how the earbuds actually fit best in my ears. Due to the contoured, teardrop shape of the earbuds, I don’t think this is how they were designed to fit. However, as mentioned above, I have huge ear canals, and this positioning worked quite well for me. 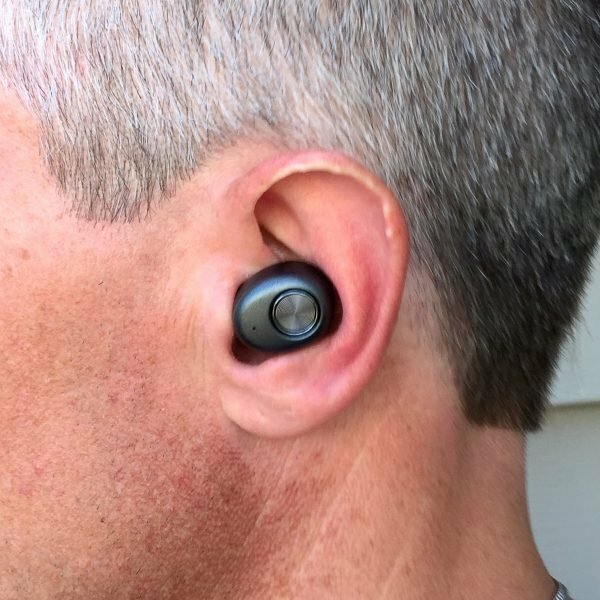 I’d been wearing the Smartomi ACE earbuds for several weeks at the time of writing this review, both for heavy-duty workouts as well as working at my desk all day. I’m happy to report that these earbuds stayed in more consistently during my workouts—despite lots of sweat and motion—than any earbuds I’ve tried yet. And that’s saying something. They also remained comfortable while wearing them for extended periods while working at my desk. Also, these earbuds are so small and low-profile that when people stop by my desk to talk to me, they almost never notice that I am even wearing earbuds. I really like these Smartomi ACE Bluetooth Wireless Earbuds. 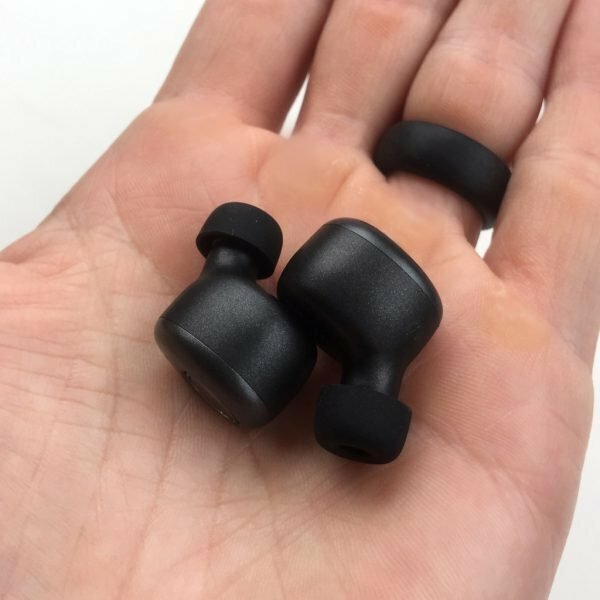 They are small and very lightweight, plus have a contoured, teardrop shape, all of which I think helped them more consistently stay in my ears during sweat-drenched workouts than any other earbuds I’ve tried to date. Operation of these earbuds is dead simple, with just a single, easy-to-push button on each earbud controlling multiple functions like music pause and phone call answer. 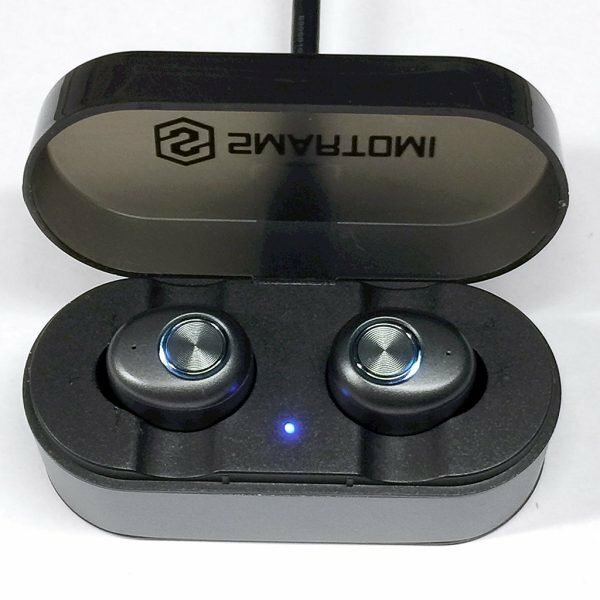 They have a good battery life on their own, but their rechargeable, battery-powered storage case can provide the equivalent of up to four additional charges to boost the earbuds’ usage time. I really like these Smartomi ACE Bluetooth Wireless Earbuds. 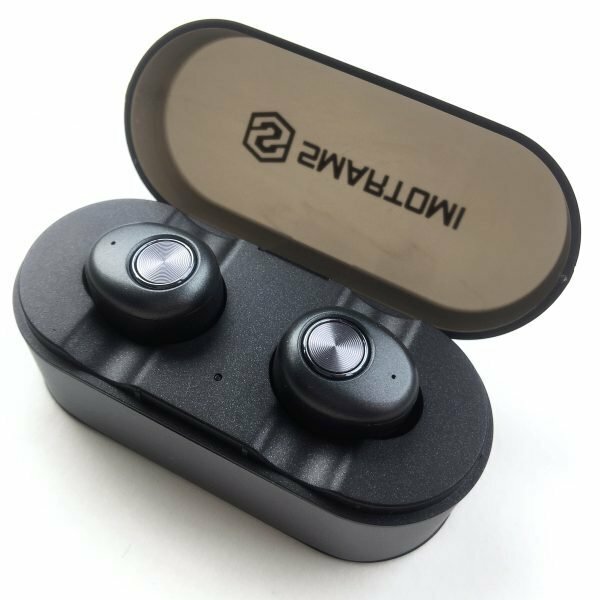 If you are looking for a pair of wireless earbuds, I’d recommend taking a look at these. Please visit our site for more info and Amazon to order.